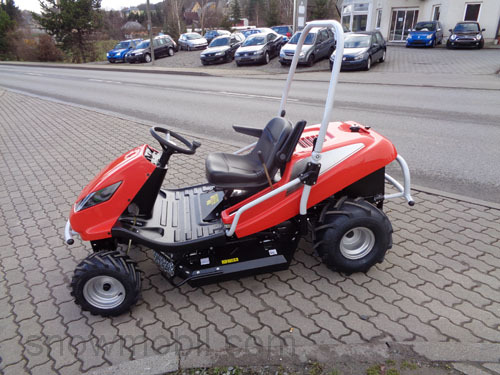 This high grass mower is especially suitable for mowing on slopes. 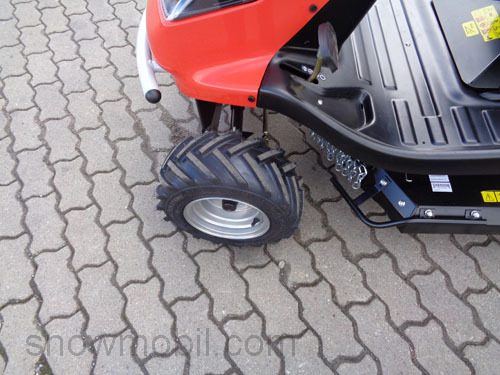 Of course, this ride-on mower performs its work on straight terrain and surfaces. 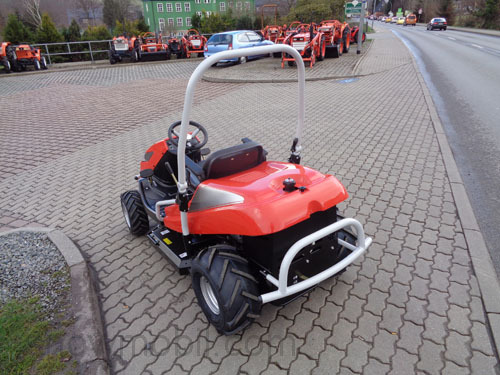 You can easily mow meadows, scrub and e.g. blackberry bushes. No matter how high the grass is, everything is chopped to pieces. Due to its low center of gravity, the device almost never tip over. 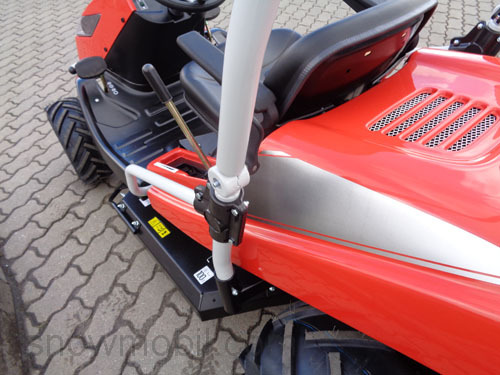 The Tuareg has a hydrostatic stepless drive. 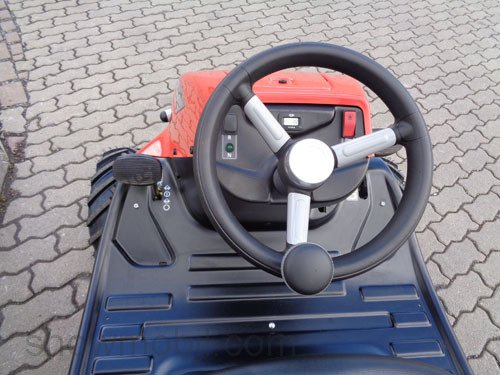 The engine is equipped with electric start. 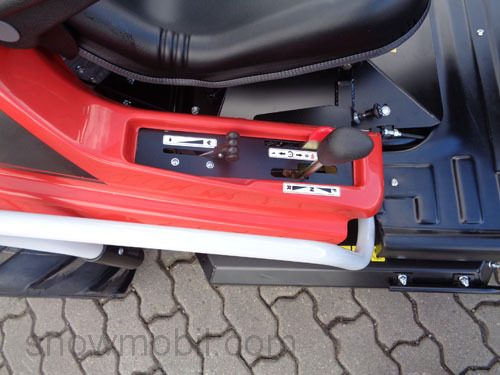 The 2 movable blade on the knife bar are simple exchangeable and fold away automatically when an obstacle occurs. 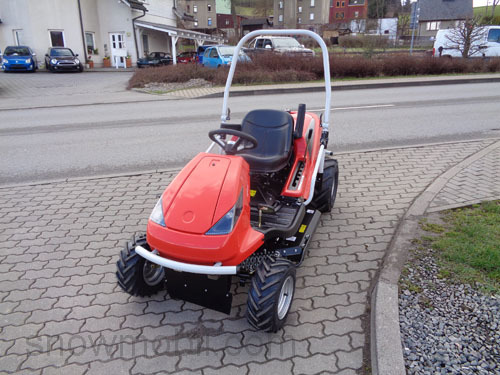 The mower is electro-magnetic switched on. 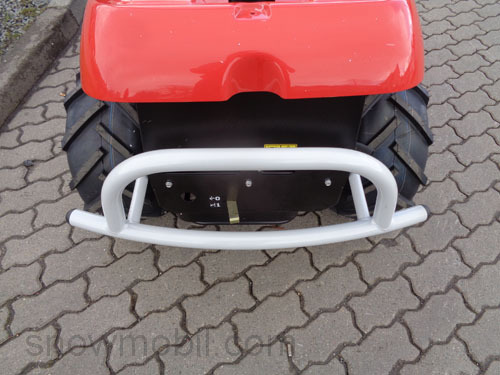 On the tractor differential lock is present, which can be switch on if necessary. 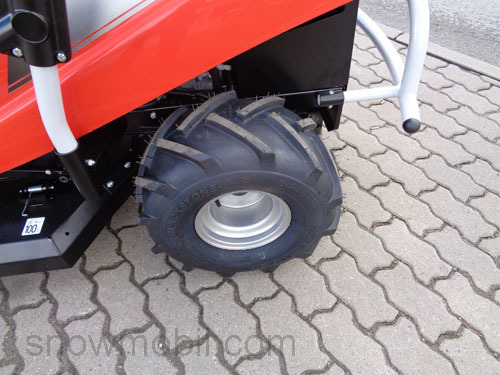 The lawn tractor has a disc brake and parking brake. 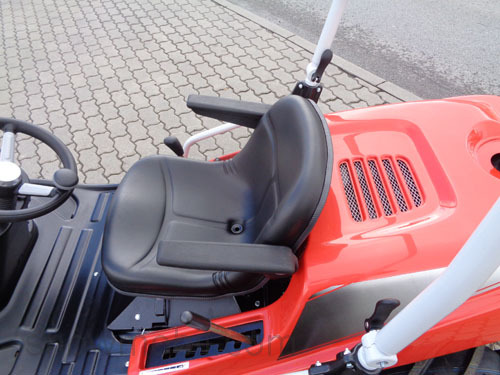 The unit is produced since 10 years - a mature product, which is sold worldwide.